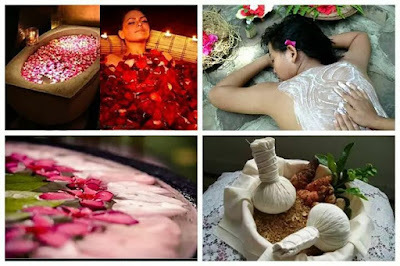 Jom dapatkan RAWATAN SELEPAS BERSALIN & RAWATAN SPA secara EKSKLUSIF lagi VIP ke rumah anda oleh PAKAR TERAPIS PROFESSIONAL YOYOY KAMPHORA SPA. 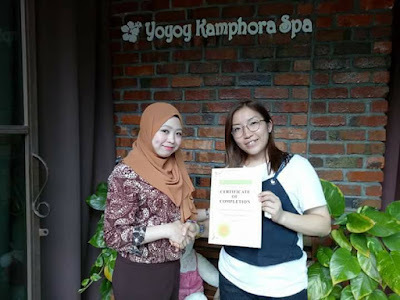 YOYOY KAMPHORA SPA sedang mencari SPA SUPERVISOR yang berkarisma dan berwawasan tinggi dan SPA THERAPIST yang ingin sukses dan berpotensi untuk maju dalam bidang spa dan kecantikan bersama Yoyoy Kamphora Spa! 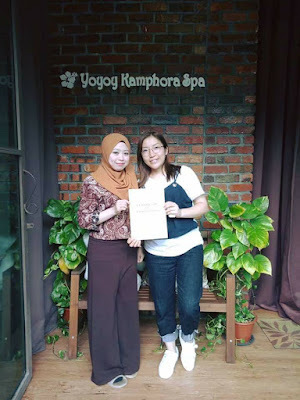 Yoyoy Kamphora Spa kini kian berkembang maju dan akan membuka beberapa cawangan baharu seperti di Putrajaya, Singapore, London (UK), Dubai (UAE) & banyak lagi dalam masa terdekat ini! • Gaji dan komisen yang kompetitif. • Program insentif yang menarik. • Berpotensi untuk bekerja di luar negara seperti di London (UK), Dubai (UAE) dan Singapore. • Pendapatan tambahan melalui program 'Referral'. • Latihan kemahiran yang berterusan. • Persekitaran tempat kerja yang sihat dan selamat. • Peluang untuk melanjutkan pengajian dalam bidang spa & kecantikan. • Berkarisma dan berwawasan tinggi. • Berpotensi tinggi dalam bidang spa dan kecantikan. Sila hubungi +60123084479 untuk maklumat lanjut. Regardless of your age or experience, our short courses let you develop a skill, create a portfolio or just try something new. You’ll learn from expert tutors with a passion for sharing their knowledge. The facial treatments short course teaches students to confidently perform facial treatments. This short course teaches students the reflexology technique to stimulate the body’s own natural healing response by applying pressure with the thumbs and fingers to reflex points in the feet and hands. Each reflex point corresponds to a particular part of the body, including organs and glands. By working on these reflex points, the Reflexologist may trigger physiological changes in the body. This class is designed to be a very practical, informative three days which will fully prepare you to work confidently with pregnant and newly delivered women. Pregnancy massage has a positive and profound impact on a woman’s perception of her personal evolution as she moves through the stages of pregnancy and birth. This 3 days course is specifically designed for the spa therapist or equivalent and focuses on healthy, normal pregnancy. Pregnancy and birth are arguably the most significant and pivotal experiences in a woman’s life. Participants will leave this course in awe of the magic of pregnancy and birth, and empowered by their new skills to assist a woman through this rite of passage. Target audience: Caregivers, Confinement Personnel or those who wishes to acquire the Post Natal Massage skills set. Course objectives: Learn and apply the professional techniques and knowledge of Post-Natal treatment and massage. You will learn how to apply cupping to related problems. The aim of the cupping workshop is to introduce this technique as an adjunct to your remedial massage skills. 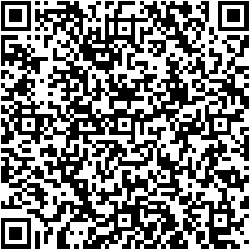 Professional Beauty Courses Short Courses - Top Beauty Academy in Malaysia.